Pressure Tech were delighted to be awarded the final phase of the WHCP contract by ADNOC Offshore, with the initial call-off already completed last month and completion of the contract due by September 2018. The contract includes a range of our HYD-691, LGC-690 and LF-690 regulators for installation across 150 panels. The Fadhili gas plant is a greenfield development being constructed by Saudi Aramco, 30km west of Jubail in Saudi Arabia with an estimated investment of approx £10.5bn. It is part of Saudi Arabia's proposed Master Gas System to help meet its increasing energy demand. Pressure Tech were contacted to supply several regulators from our Analyser range, including TS-310's, LF-310's and XHS-310's, to a project order value of £45k. A further order has been received this month for the next phase of the Fadhili Project, taking the ongoing project value up to a total of £70k to date. Pressure Tech were asked to provide a design solution to enable the remote set point control of one of our subsea regulators during its service under water. A regulator’s set point is configured during its build at our unit in Glossop, UK. The regulator is then supplied as ‘set and lock’ - any changes after this point must be physically conducted, either prior to system installation or during maintenance intervals. Our solution? A closed loop actuator enabling the customer to control set pressure point constantly via an electronic signal during regulator operation. The actuator is fully sealed, IP69K rated and has a sea water depth rating of up to 3000m. 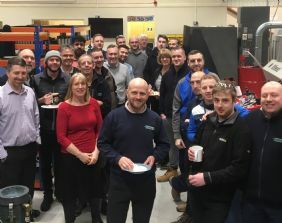 Today we celebrated the 50th birthday of Rob Kelly, one of our valuable members of the team in our CNC machine shop. It was exciting to see photos of our lightweight LW351 hydrogen fuel cell regulator being utilised on Bionic Eye's latest drone! 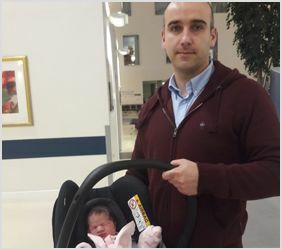 The Pressure Tech office turned pink this week after Karol, our Senior Design Engineer, announced the arrival of his baby daughter! Typically incorporating Inconel® X750 diaphragm-sensed elements to provide strength and flexibility. They cover gas cylinder regulators to ATEX certified (94/9/EC) heated regulators. 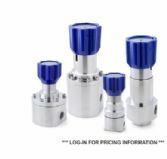 Piston-sensed pressure regulators with a range of precision machined and fully supported sensor elements to cover pressure ranges up to 690bar (10,000psi), and primarily for gas service. Primarily for gas service with diaphragm-sensed elements to control up to 10bar (145psi) and piston-sensed elements covering higher requirements up to 414bar (6,000psi). 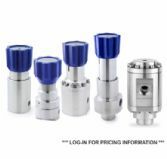 Including diaphragm and piston-sensed regulators with port sizes from 1/2" to 3" with either threaded or flanged connections. 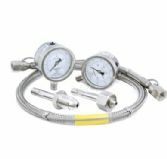 Pressure control options up to 10bar (145psi) with a diaphragm-sensed element and up to 210bar (3,045psi) with a piston-sensed element. Accurate control of inlet pressures to any process, this range includes all the design features of our other product ranges. 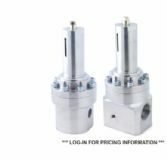 They cover port sizes from 1/8" to 2" and control pressures from 0.1bar (2psi) to 690bar (10,000psi) on both gas and liquid applications. 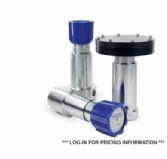 Piston-sensed regulators for use on liquid applications. 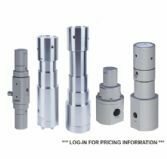 Precision machined sensing elements provide control to 1,380bar (20,000psi) and self venting is available with captured vent ports. 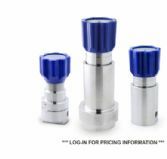 Port sizes from 1/4" to 3/4". 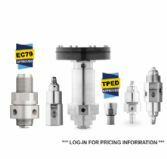 Designed to operate subsea at depths of up to 3,000m (10,000ft), our subsea pressure regulators can either use the external seawater pressure as a reference pressure, or alternatively, they can be completely sealed to operate at topside ambient pressure conditions, thus, are completely unaffected by external pressure conditions. A version of the regulator is also available with a 'bucket handle' to allow subsea adjustment by ROVs. We also have an electric-actuated option which enables remote control of the regulator for applications such as subsea where manual adjustments are difficult or time-consuming. 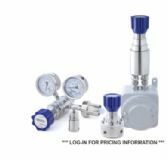 Accessories and ancillary equipment that fits with on, or can be used with, our extensive range of pressure regulators.